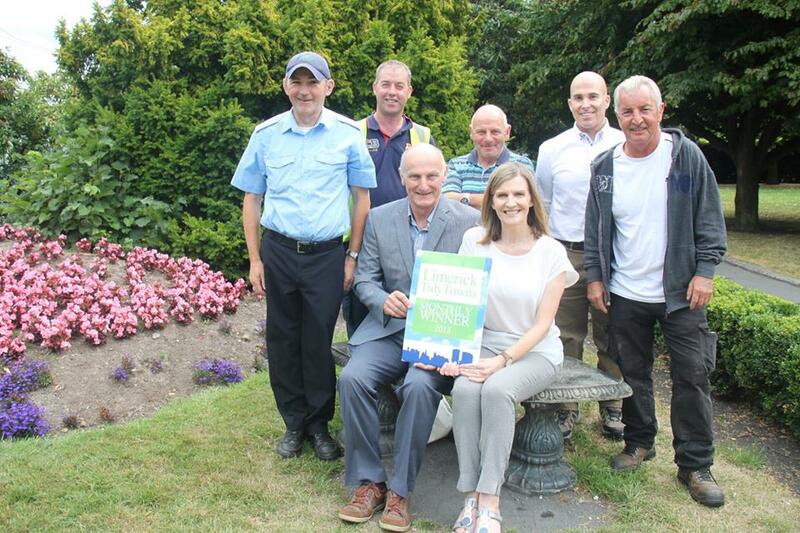 The Limerick City Tidy Towns monthly award for July 2018 has gone to The Parks Department at Limerick City and County Council, in recognition of the staff who are committed to working to improve the city with floral displays and landscaping of public areas. 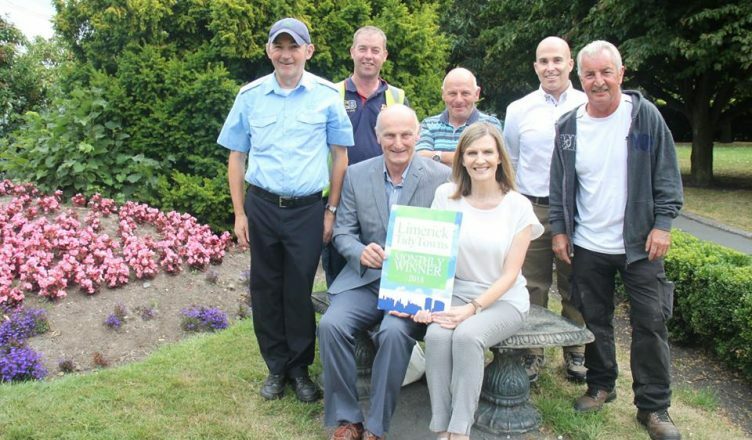 Pictured at Peoples Park being presented with the award by Maura are Joe Power, David O’Brien, Patrick Lyons, Ger Molloy, Thomas Goodwin and Head of Parks Department Michael Sheehan (photo Sophie Goodwin/ILoveLimerick). We think everyone who lives in, works in and visits Limerick city will agree that the city’s public parks and floral displays have never looked better. Naturally the wonderful weather we’ve had this summer helps, but if anything that has made the Parks Team’s job even more difficult, given the drought and scorching heat we’ve experienced over the past few weeks, and the earlier extreme weather conditions of 2018 including rainfall, storms and snow. We therefore thought it was the perfect time to thank and acknowledge the team for all their hard work and dedication to improving the urban environment. From the beautifully maintained public parks to the flowers along the boardwalk and of course the hugely successful “Bridges in Bloom” project, their work brightens the city at every turn and we are delighted to present them with this award, especially given how important this is to our ambitions in the national Tidy Towns competition. Limerick’s Park Department use plants in the city that provide aesthetic, recreational and psychological benefits, and their physical functions are also invaluable. Their seasonal floral displays of mixed plantings give people something interesting to see all year long. The trees and plants create and define outdoor spaces, provide shelter from wind, rain and noise, filter dust, reduce sun glare from glass and metal, reduce unpleasant temperature variations, improve air quality and conserve energy. The team are also very proud of the city’s parks which connect people with nature and provide attractive amenities for locals and visitors and and are a wonderful asset to the city. The Parks team are Limerick City Tidy Towns’ seventh monthly winner for 2018, following St Michael’s Rowing Club in January, Foot Solutions in February, La Fromagerie in March, Portleys Bar in April. Be Your True Self in May and Jack Mondays Coffee House in June, and they will be in with the chance of winning this year’s overall prize at the Tidy Towns Group’s annual event to be held early in 2019.